In the two-part season 6 finale, Drastic Voyage, the CIA coerces the gang into shrinking down to the size of bacteria and traveling in a tiny vessel to destroy a deadly blood clot. An homage to the 1966 classic Fantastic Voyage. Due to the vessel being from an external organization, I designed the screens to have a unique style, distinct from the regular screens in the rest of the season. 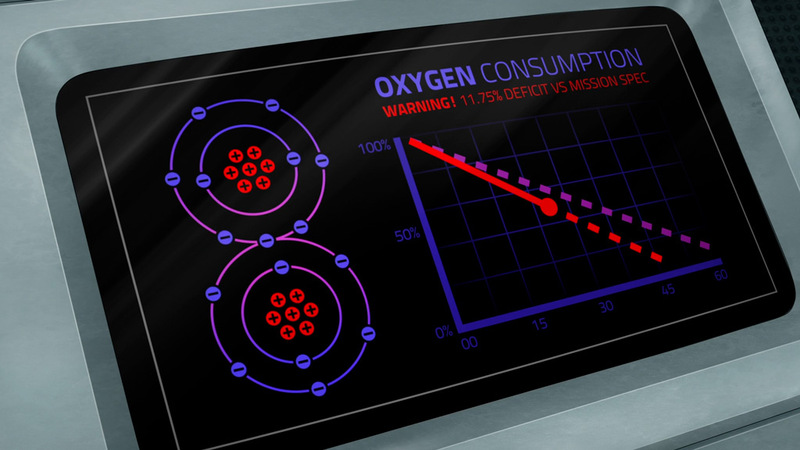 Each monitor has a single task, with clean lines, a restricted colour palette, and simple illustrations – an approach that's worked well in previous episodes (and 60's and 70's science fiction). A selection of screens from the episode.